Snuggle Babies Nursery: Celeste's Layette and Wardrobe is Ordered!!! I just ordered baby's Celeste's first layette...a combination of beautiful and color co-ordinate baby clothes. I sure hope they all fit baby just right. I think this baby's mommy is going to appreciate the time and cost of this beautiful wardrobe. This should provide little Celeste with a huge and gorgeous wardrobe to start with. All items were ordered and I hope they all fit her! She should wear 0-3 months according to the research I did. I sure hope the research is spot on! Now in case you didn't know my babies and my grand-babies were all spoiled to death, impeccably dressed, ready to show off at a moment's notice. And Celeste will be no different! So her new Mommy won't have to worry about clothes right away, she will come with the following wardrobe pieces. This first set is huge and comes with a receiving blanket, teddy bear, bib, wash cloths, onesie, sleeper and clothing bag. Next I had to get Celeste a nice snugly warm blanket for cold nights. Mommies need a nice snuggly blanket to hold their babies in. This one has the Sherpa interior. It's so pretty in the Pink floral. I am in love with this pattern. What could be better than this gorgeous Butterfly themed set. 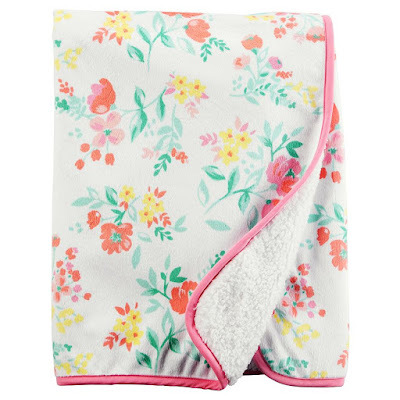 Similar color theme to the other Baby Girl Carter's Little Blooms Mix and Match Collection. I could not help myself. I had to get these shoes for little Celeste. She deserves the very best. I hope they fit her wiggly little feet otherwise I will withhold them for a smaller Reborn. 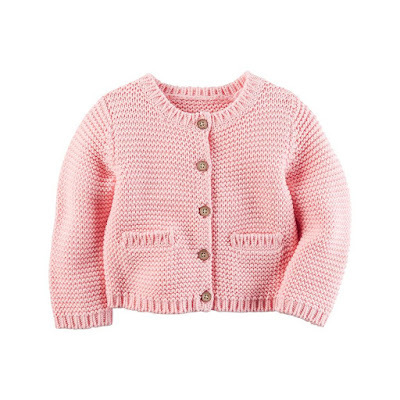 Any proper wardrobe would not be complete without a beautiful warm Knit Cardigan. And this color is so pretty it reminds me of strawberry ice cream or the pink powder puffs that used to come in my grandma's powder jar. Now for her arrival she will come dressed in this beautiful pink dreamy butterfly dress with a ruffled pink shrug and precious pink bow at the waist. How pretty is that, huh? 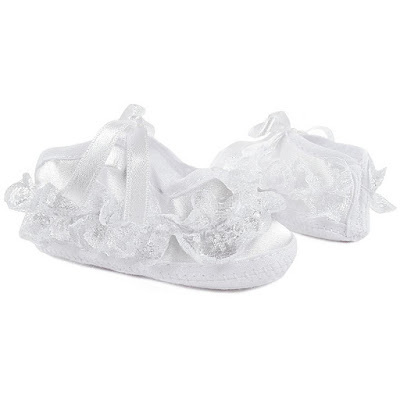 And to go with her pretty Easter style dress are these soft little satin, lace and ribbon crib shoes. 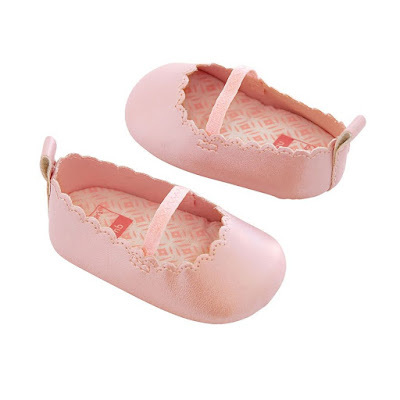 Aren't they just perfect for this little angel. Now I could not find the picture of the socks that I am sending out but these are similar. One pair is lacy like the ones's below and the other pair are organza trimmed. So see my other posts because I put them on her feet. But just to get the idea that I am sending two frilly socks, here is a place holder for that set. 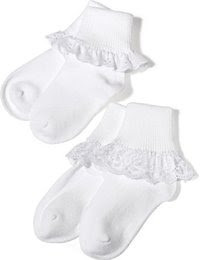 2 pack socks similar to these but they are Garanimals brand. One is frilly lace, one is frilly organza ribbon. Getting back to my painting now!